Introducing McPolish! - Polish Etc. Let me introduce myself, I'm Amy McG aka McPolish. And I am so very excited to be joining Rebecca with this wonderful blog. I started following PolishEtc about a year ago when I started my nail polish obsession. 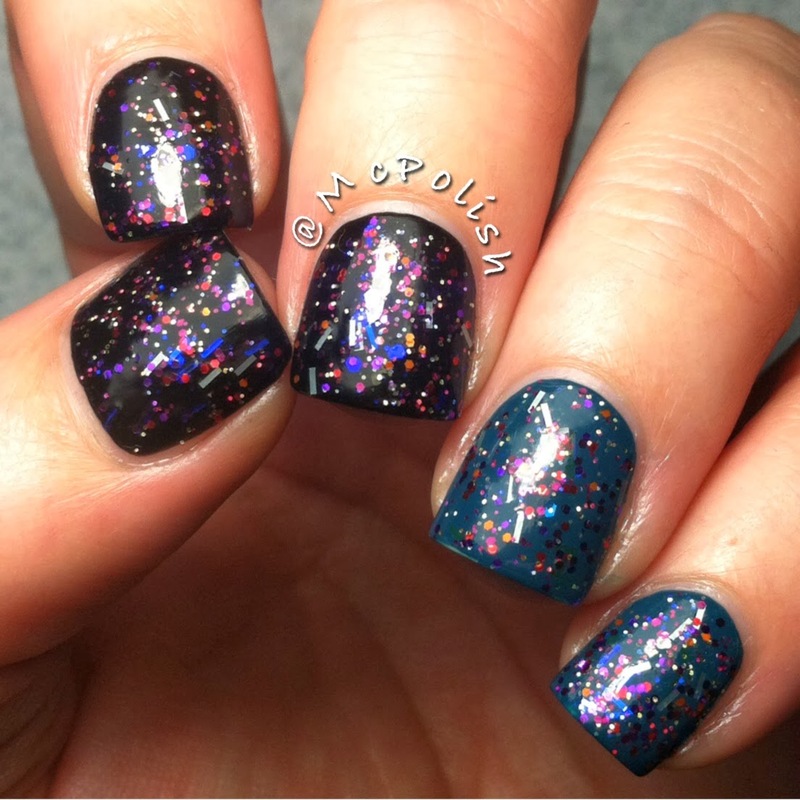 It all started with a bottle of magnetic polish by Sally Hansen. 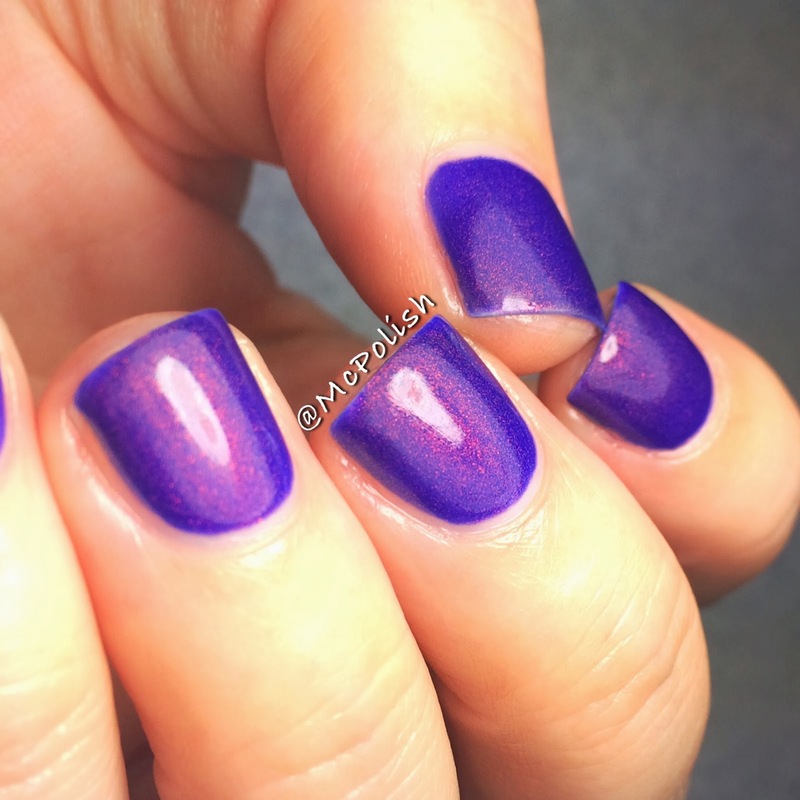 I had to know if there were other polishes like this. 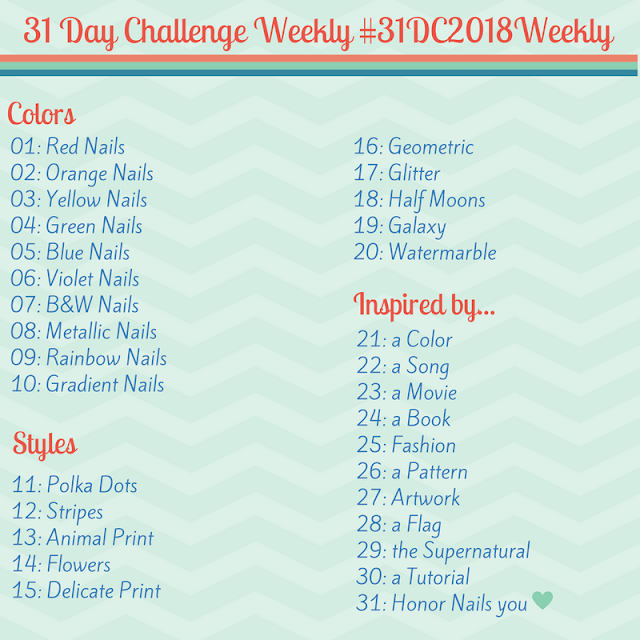 which led me to the world of nail blogs. Holy moly! Needless to say, I was hooked and was constantly scoping out the beauty section of every grocery and drug store. I have hardly gone a day without polish on my nails since October 2012!. In March 2013, I broke down and made my first Instagram account so I could share my nails with people and my real life friends and family wouldn't know about my obsession. Haha! It's true, I was trying to hide it back then. I very quickly got sucked into the never ending world of nail art and indie polish. I have shared all of my nail art adventures and first tries on my Instagram account, so feel free to peruse it at your leisure. Currently, I am attempting to do more stamping and advanced/reversed stamping. 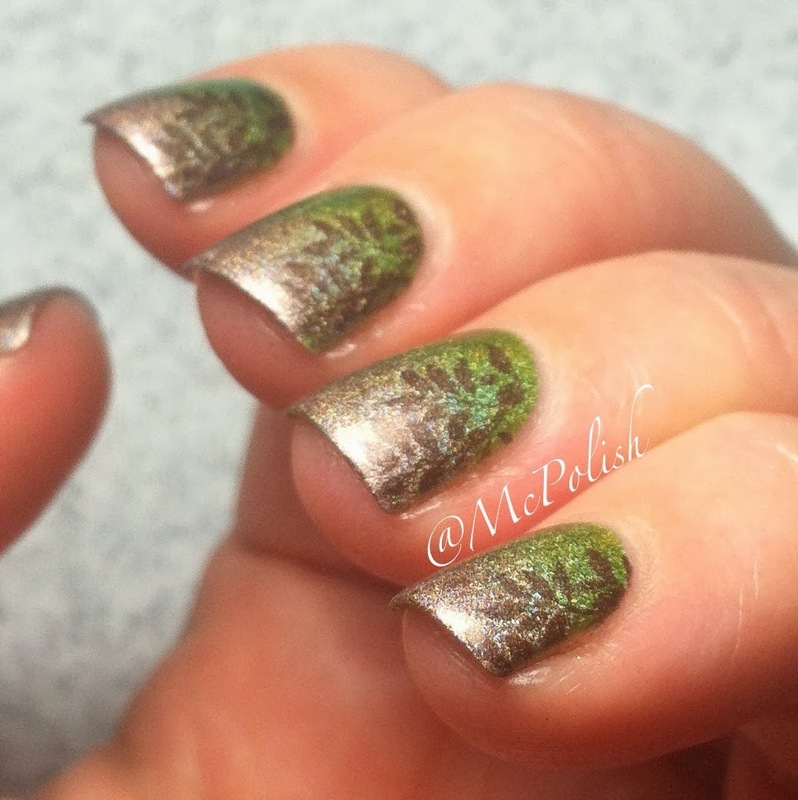 I am not adept at hand painting, so stamping lets me wear more intricate designs. 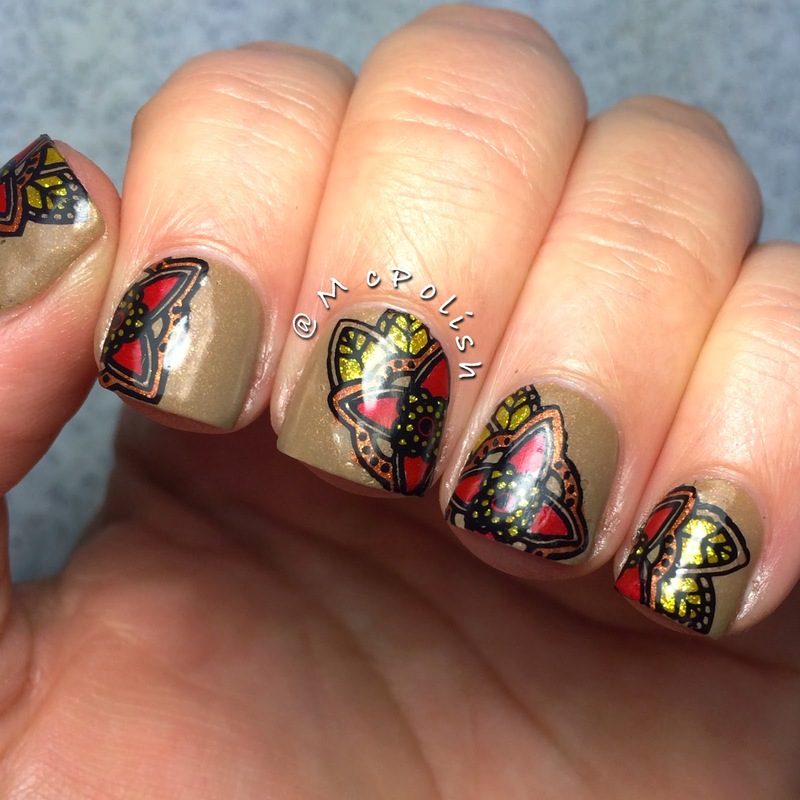 My go-to, easy nail art is the jelly sandwich. I love jelly polish! 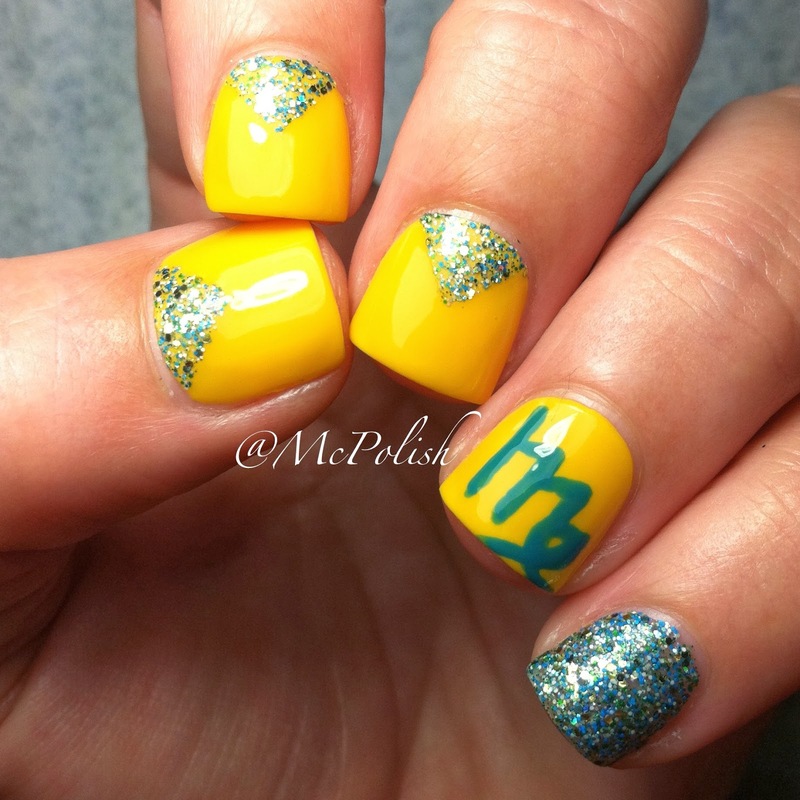 Here are some examples of my nail art adventures! And because I am an indie polish lover, I do my fare share of swatching and ogling over beautiful handmade polish babies. 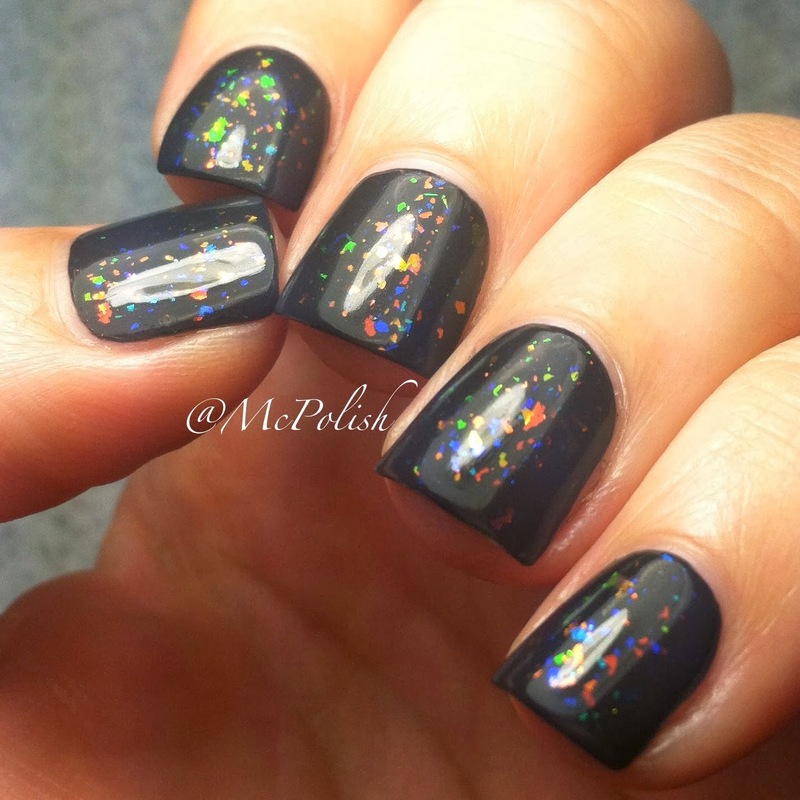 I actually have an indie polish named after me, for my love of grey jellies with pink glitter! 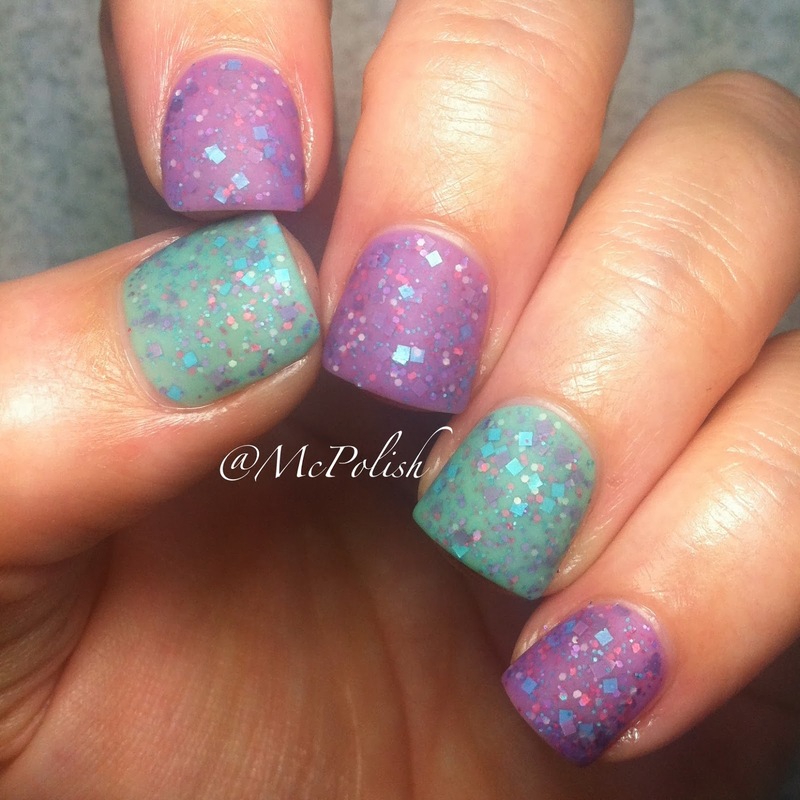 Here is a sample of my swatches featuring the "McPolish hand pose". Well...I hope you will be happy with my contributions to this lovely blog. I am just tickled pink to be here with Rebecca and to share this experience with my bestie Amy and good friend Gari. I know you will love them both :) Let me know if you would like to see anything specific from me and be sure to follow me on Instagram! Woo Hoo!!! This is exciting, right! Totally! Thank you so very much for asking me.